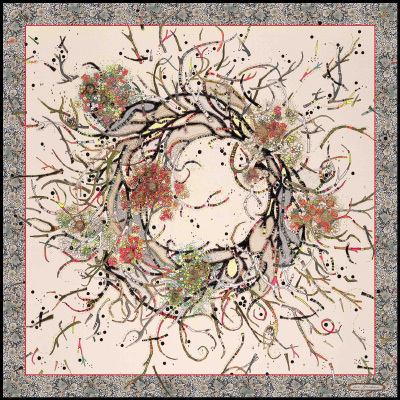 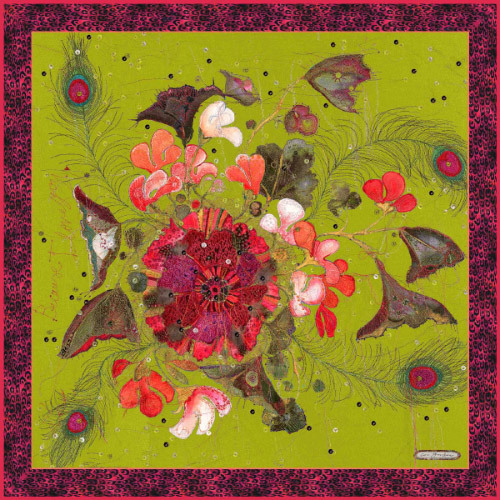 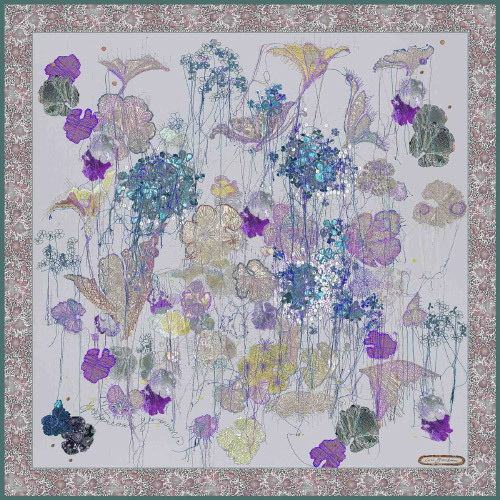 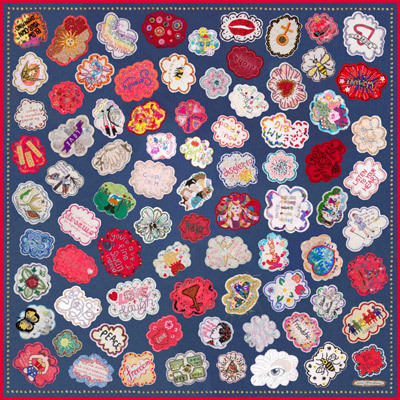 I have produced a series of British, high quality Crepe de Chine silk scarves. 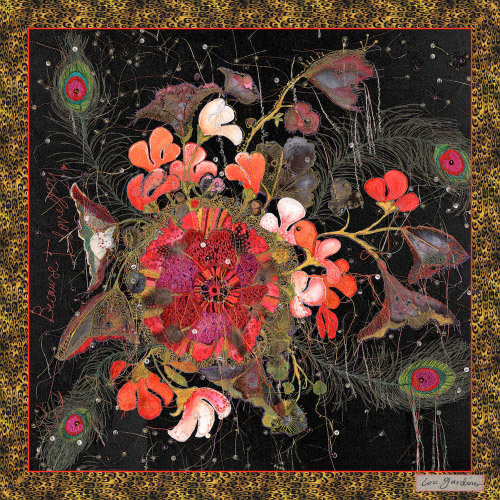 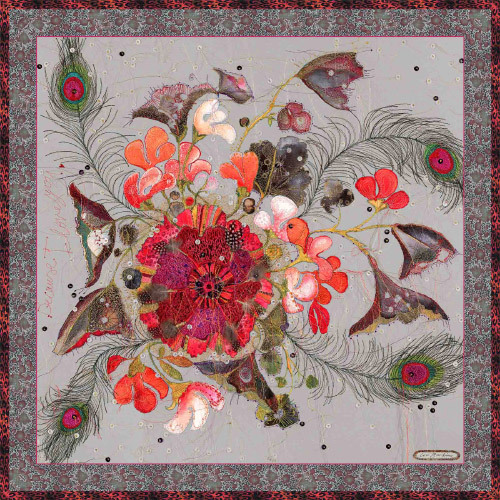 Each printed with an exact reproduction of one of my collectible embroidered artworks they are printed in small batches and feel sumptuous to wear. 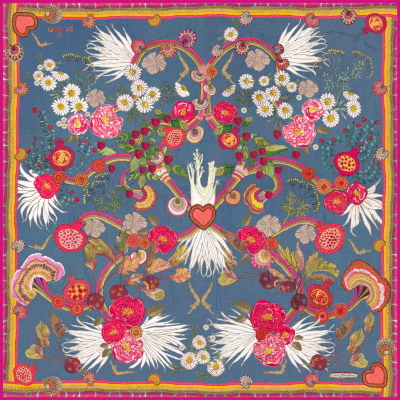 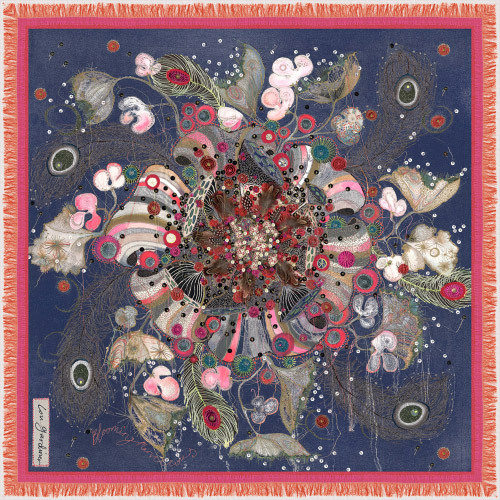 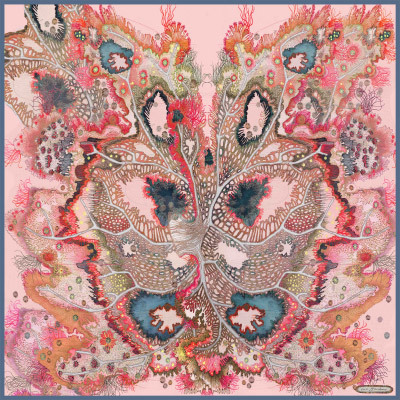 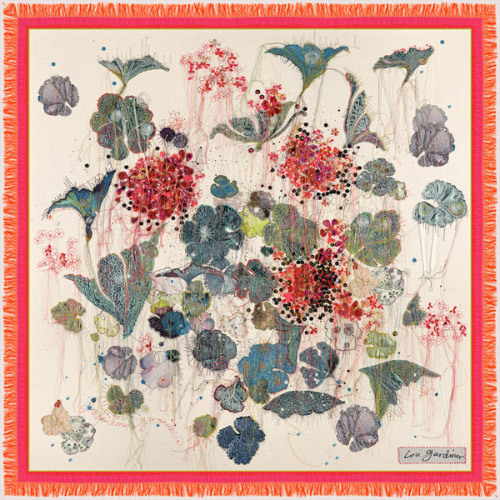 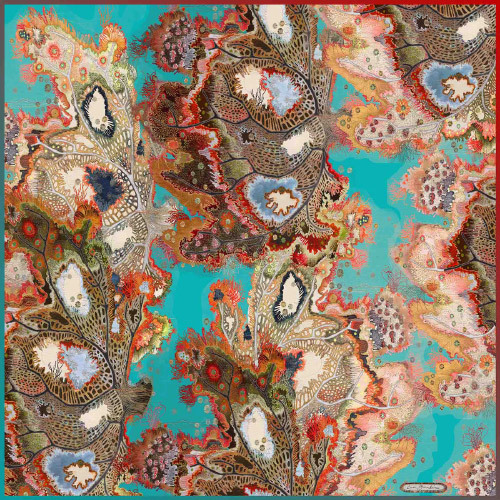 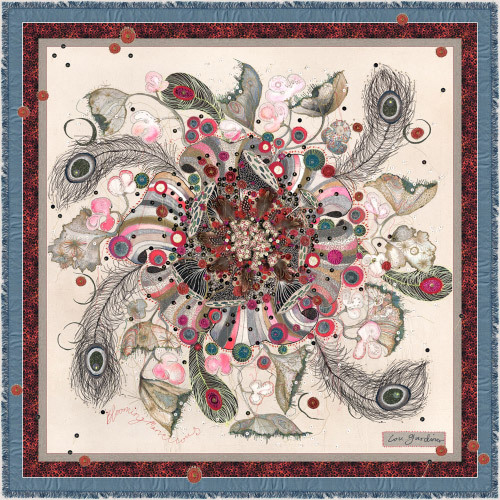 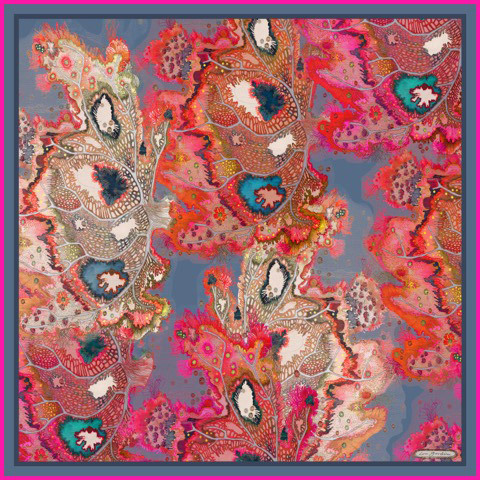 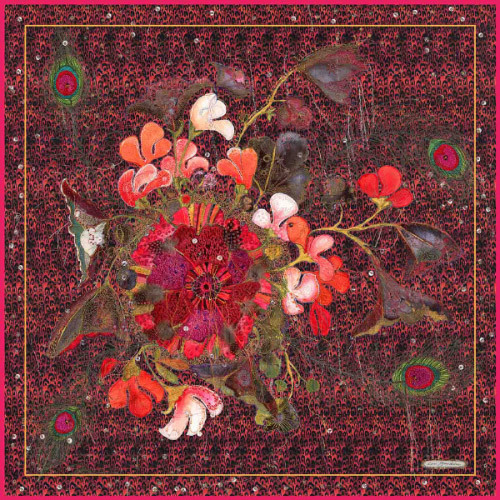 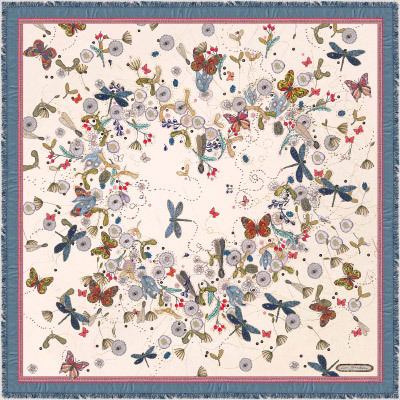 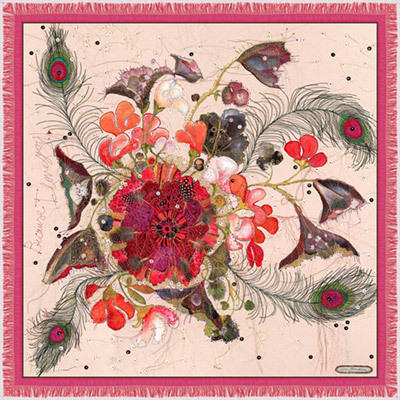 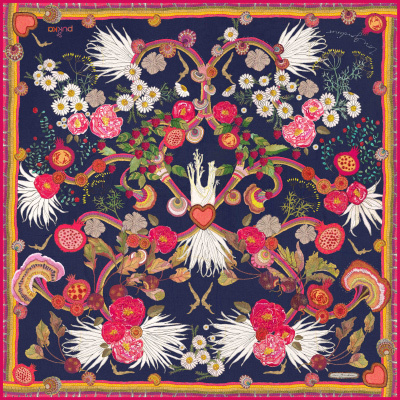 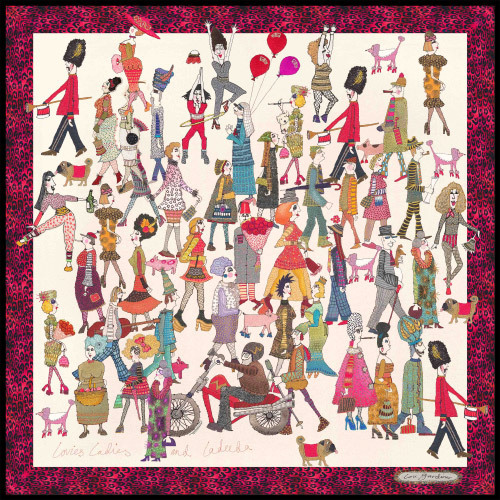 With their rich colours and elaborate detail, these scarves are quite literally a wearable work of art as well as a luxury item which will last. 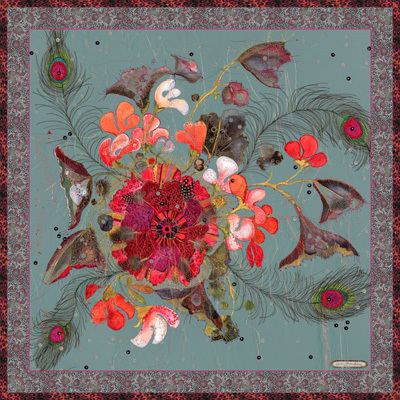 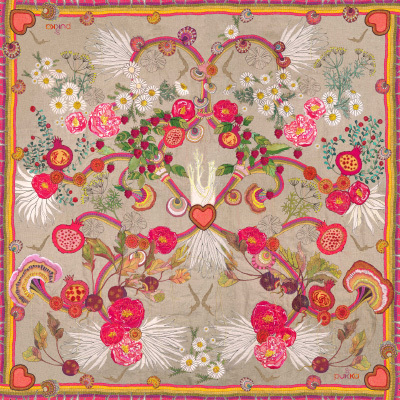 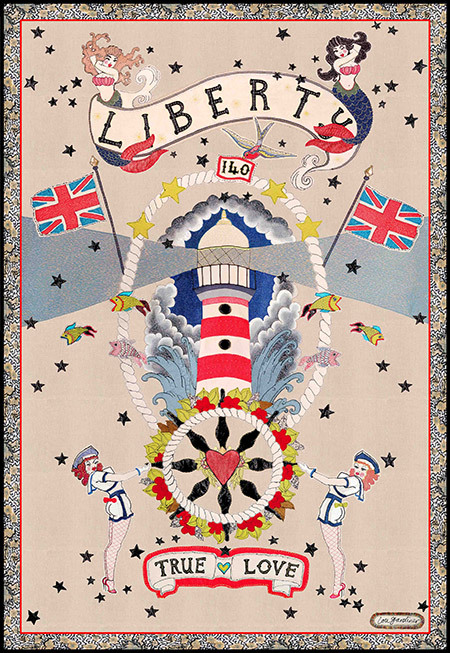 The scarves are printed in Macclesfield, 6 miles from my Cheshire studio, famous for its historic silk industry. Each scarf is beautifully gift wrapped and posted by ME!